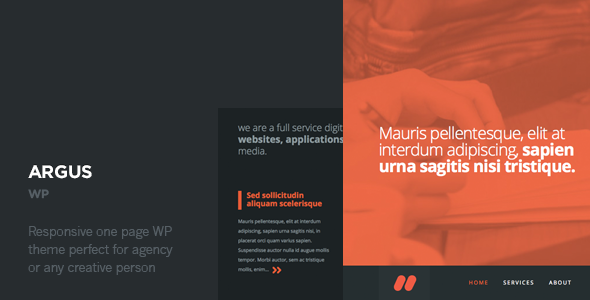 ARGUS is simple and clean one page portfolio wordpress theme. It’s perfect for any designer, photographer, illustrator, creative person or agency. It focuses on displaying a high quality portfolio, large typo presented in a really elegant way. Your site will look awesome on all major moble devices. The theme comes with demo data content that you can easily import make it look like the demo.